Whether you’re replacing an old conservatory or are building a new greenhouse, polycarbonate roofing sheets are an ideal choice. They are wonderfully lightweight, durable and easy to install. This makes them ideal for virtually anybody. That is whether you’re fitting the panels yourself or are getting a helping hand. Roofing Megastore stock and ship both solid and multiwall polycarbonate roofing across the country. They are available in a selection of popular thicknesses and can be cut to size. This allows you to select your length and width when ordering online. You also have a pick of colours, including clear, opal, bronze and black. To achieve a professional finish, use our selection of compatible glazing bars with your polycarbonate roofing sheets. These include our low cost plastic glazing bars, which are ideal for small canopies or shelters. 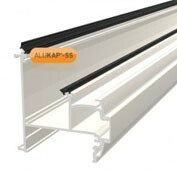 We also stock premium aluminium and self-supporting glazing bars. These are purposely designed for use on large canopies, shelters or conservatories. With everything you need for a complete polycarbonate system, you needn’t shop around for your next project. Plus, take advantage of mega savings and fast UK delivery when you order polycarbonate roofing sheets online or by telephone. Has condensation begun to form in your conservatory roof panels? Are you inspired to begin growing veg in a greenhouse? If so, simply turn to our polycarbonate roofing sheets. They can be used on virtually any project and are hassle-free to install. You also have a choice of either solid or multiwall polycarbonate when you shop at Roofing Megastore. Cut to size multiwall polycarbonate sheets combine several layers to provide superb insulation whilst remaining wonderfully easy to install. 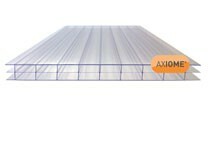 With up to 10 years guarantee, these panels are a long-term solution for carports, greenhouses, conservatories and more! Solid polycarbonate sheets offer incredible strength whilst being far safer to install than traditional glass panels. At up to 200 times stronger than glass, these panels offer a shatterproof solution for balcony screens, greenhouses, conservatories and more! When you’re sticking to a tight budget, our plastic glazing bars allow you to achieve a clean finish without breaking the bank. They are purposely designed to be fixed onto a timber frame and used with multiwall polycarbonate roofing sheets up to 25mm thick. Your panels are then fitted between the top cap and base bar – it couldn’t be any easier! From H sections to drip trims to end caps, our plastic glazing bar system includes all the essential parts. These secure your polycarbonate roof panels snuggly into place and ensures they can handle the British weather all year round. They are also incredibly easy to install and ideal for both DIYers and tradesman. Connect two polycarbonate sheets along the lengths with our plastic lean-to bars. You simply screw the base of our lean-to bar directly into your timber frame with the provided screws. Then simply sit the polycarbonate roofing panels between the base bar and top cap. 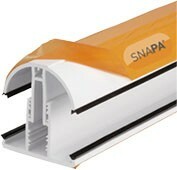 Join multiple polycarbonate sheets along the widths with our plastic H sections. Just slide the sheets into the H section and their strength allows extensive span without the risk of bowing. All without the need to fix your H sections to a timber frame. 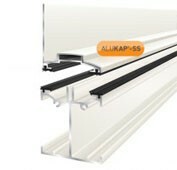 Place our plastic drip trims along the width of your polycarbonate sheets on the side opposing the wall. This prevents any water or condensation entering your sheets whilst being easy to install, as you needn’t fix the drip trim to your timber frame. 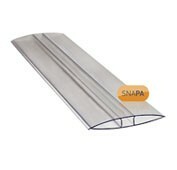 Seal the left and right hand side of your polycarbonate roof with our end stop bars. This allows you to secure your polycarbonate sheets further and achieve a clean, enclosed finish. You simply slide your sheets into the end stop bars and fix them directly into your timber frame. 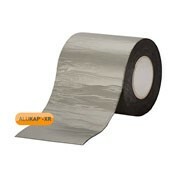 Prevent water ingress at the top of your sheets and achieve a seamless finish with our flashing tape. A fantastic lead-alternative, this self-adhesive tape allows you to control the flow of water over your polycarbonate sheets and prolong their lifespan. 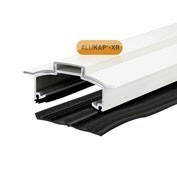 Secure polycarbonate roofing sheets into a timber frame with our fixing buttons. Featuring a large head and thread, these fixings are purposely designed to minimise water ingress whilst maximising the security of your polycarbonate sheets. 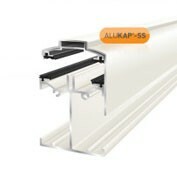 Indulge in our premium glazing bars and benefit from the combination of high-quality aluminium and wonderful finishes. They are easily fitted onto a timber frame and capable of securing both solid and multiwall polycarbonate roofing sheets between 2mm and 35mm thick. Your panels are then fitted between the top cap and base bar – it couldn’t be any easier! With ridge pieces, gable bars, valley bars and more, our aluminium glazing bar system has everything you need. These secure your polycarbonate roof panels snuggly into place and provide a gorgeous aesthetic. They are also incredibly easy to install and ideal for both DIYers and tradesman. 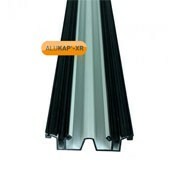 Join two polycarbonate sheets along the lengths with our aluminium glazing bars. Just screw the rubber gasket directly onto your timber frame with the included screws. Then simply lay your polycarbonate roofing sheets and fix the top cap to secure them into place. Achieve a professional, enclosed finish along the exposed gable of your polycarbonate roof with our aluminium gable bar. Just lay your sheets on the included rubber gasket and place the gable piece on top. Then use the included screw to secure your sheets into place. 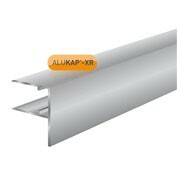 Join multiple polycarbonate sheets at a hip with our aluminium hip bar. Just lay your sheets between the hip bar and included rubber gasket. Then use the provided screw to secure your sheet into place. The rubber gasket prevents any sheet movement or water ingress below the hip bar. 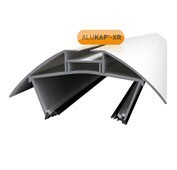 Connect polycarbonate roofing sheets on an apex roof with our aluminium ridge piece. Simply place your sheets between the ridge piece and included rubber gasket. Then use the included screw to secure your sheet into place. The ‘wings’ of the ridge piece then allows adequate room for the compatible glazing bars to fit. 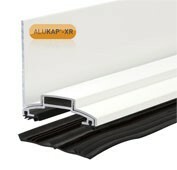 Achieve a professional finish when fitting your polycarbonate roof up against a rising wall with our aluminium wall bars. Simply lay your sheets on the included rubber gasket and place the gable piece on top. Then use the included screw to secure your sheet into place. Meet multiple polycarbonate sheets at the valley with our aluminium valley bar. Simply rest your sheets on the ‘wings’ of the valley bar and the rubber gaskets will prevent any movement. Your sheets are then secured into place by the accompanying glazing bars. 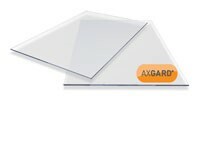 Seal the left and right hand side of your polycarbonate roof with our side flashings. This allows you to secure your polycarbonate sheets further and achieve a clean, enclosed finish. You simply slide your sheets into the flashings and fix them directly into your timber frame. 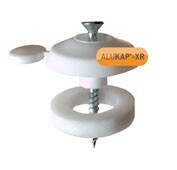 Secure polycarbonate panels into a timber frame with our fixing buttons. 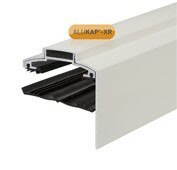 Featuring a large head and thread, these fixings are purposely designed to minimise water ingress whilst maximising the security of your polycarbonate sheets. Say goodbye to the timber frame and achieve a professional finish with our self-supporting glazing bar system. They can hold either solid or multiwall polycarbonate roofing sheets into place. All without any further structural support being needed - the possibilities are endless! 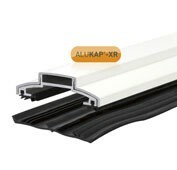 Our self-supporting glazing bars feature all the essential parts of a polycarbonate roofing system. This includes gable bars, eave beams, wall bars and more. 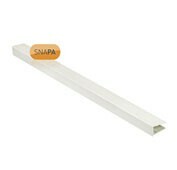 These are able to hold up to 35mm polycarbonate roof panels and will serve you for decades with ease. Join two polycarbonate sheets along the lengths with our self-supporting glazing bars. These are available in both low span and high span options, making them ideal for virtually any project. Simply place your polycarbonate sheets between the top cap and included rubber gasket. Then use the provided screw to secure the sheet into place. Achieve a professional, enclosed finish along the exposed gable of your polycarbonate roof with our self-supporting gable bar. These are available in either low span or high span options, meaning they are suitable for virtually any project. Just lay your sheets on the included rubber gasket and place the gable piece on top. Then use the included screw to secure your sheets into place. Achieve a professional finish when fitting your polycarbonate roof up against a rising wall with our self-supporting wall bars. These are available in both low span and high span options, meaning they are suitable for virtually any project. Simply lay your sheets on the included rubber gasket and place the gable piece on top. Then use the included screw to secure your sheet into place. Secure your polycarbonate sheets against both the upper wall and lower eaves with our self-supporting wall and eaves beam. These multi-use beams are secured against the wall with a screw and utilise rubber gaskets to prevent any water ingress. 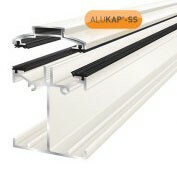 You simply use these beams in conjunction with our self-supporting glazing bars and caps to secure your sheets into place. 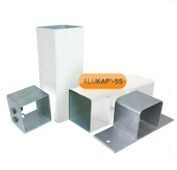 Support your polycarbonate roofing system with our post and bracket kits. These include 3000mm posts to elevate your roof and aluminium brackets, which secure the posts to our self-supporting wall and eaves beam. All fixings are then carefully concealed to provide a professional finish.